KIEV, Ukraine -- The Ukrainian government approved a bill on Friday to split the national energy company Naftogaz into production and transportation divisions and prohibit rental or privatization of the gas transportation system. Ukraine's Naftogaz headquarters in Kiev. Naftogaz should be split according to the provisions of the EU Third Energy Package, which requires the separation of energy production, transportation and sales, as Ukraine is a member of the European Energy Communit, Ukrainian Deputy Minister of Energy and Mines Vladimir Makukha said. Makukha claimed delay in reforming the country's gas sector had prevented modernization of the Ukrainian gas transportation system, and approval of the new bill could re-start the process. "In fact, implementation of the first pilot project to upgrade Ukraine's gas transit system to modernize the Urengoi-Pomary-Uzhgorod gas pipeline with funds from European financial institutions has stopped," Makusha said. Europe has refused to grant the funds until Ukraine reforms its internal gas market. 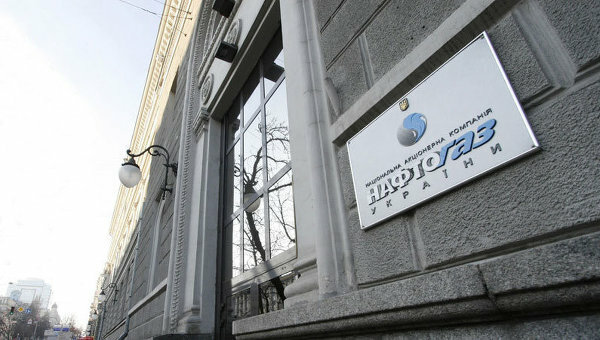 Naftogaz expected to get over $300 million from a consortium of international banks in July 2011 to upgrade the Urengoi-Pomary-Uzhgorod pipeline. Kiev estimates the overall cost of upgrading the whole system at $5-7 billion over five to seven years. The bill was opposed by the opposition in the Rada, particularly by supporters of former Prime Minister Yulia Tymoshenko, who tried to block the rostrum in protest as it was debated. Ukraine's National Security and Defense Council head Andriy Klyuyev said the council will discuss how to manage the gas transportation system as the issue is a matter of the country's national security. Russia had previously proposed setting up a joint venture between Naftogaz and Gazprom, to run Ukraine's gas transit system, as part of a settlement of its gas price dispute with Moscow. The two countries have been embroiled in a long-running dispute over the price and volume of Russian gas purchased by Ukraine. Kiev insists the current price is too high. In late February Ukrainian Prime Minister Mykola Azarov said Moscow had sent a new gas proposal to Kiev stipulating a 10 percent discount in the price of gas, which Ukraine was considering. The annual average Russian gas price for Ukraine for this year stands at $416 per 1,000 cu m.
Ukraine claims it would be cheaper to buy gas from Germany, and has begun exploring other sources of supply.